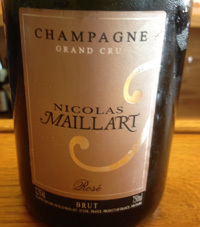 N.V. Nicolas Maillart, Rose Brut, Grand Cru Champagne, Ecueil, France. The gorgeous Maillart Grand Cru Rose is an opulent cuvee of 70% Pinot Noir and 30% Chardonnay from 100% Grand Cru fruit with minimal dosage giving a rich sparkling wine with loads of vigor, energy and dry feel, this is glorious, dreamy and elegantly crafted. This beautiful and rare handcrafted Champagne was very first experience with this exciting producer and artisan winemaker Nicolas Maillart, and I’m thrilled by his bubbly and can’t wait to try more, this was a great showing and a remarkable find, be sure to check this Champagne house out when you get the chance, especially this majestic Brut Rose. The nose is toasty/yeasty with hints of cherry and strawberry along with crisp citrus and mineral notes leading to a perfectly defined and focused palate of fine beading creamy mouse, hazelnut, steely/stones, truffle, kirsch, pink citrus, fig and clove spice. Everything is alive, vivid and lifting both electric and like floating on a cloud, with an inner peace, grace and harmony, along with a crispness and lingering finish making for an intriguing and seductive non vintage Champagne of worthy Grand Cru implications, this is sublime stuff, drink now and often! 2012 Yann Chave, Crozes-Hermitage, Rhone Red, France. I’ve always loved the Yann Chave Crozes, it was one of my first crushes in the northern Rhone, and the wine has evolved along with my tastes perfectly over the years, and it was fantastic to taste the latest release from Yann Chave. The 2012 Crozes-Hermitage is forward and grappy at first, but opens to reveal added depth and complexity, this is very stylish Syrah and while it drinks great right now even, it should be a solid performer over the next 10 years. 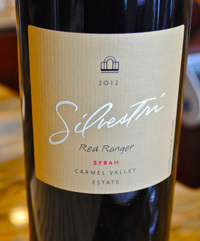 The nose is pure and layered with violets, black fruit, minty herbs and a hint of bacon, char and pepper leading to a full and vibrant palate of plum, boysenberry, blueberry and currant fruits along with fresh meat, melted black licorice, lavender oil and kirsch plus subtle camphor, truffle, slate/stones and cedar notes. This is very pleasing Syrah and an exciting young wine, I highly recommend searching this one out, it is always a tough find retail wise, but worth it as the price is super for what you get in the glass and in the bottle, again this is a sublime and brilliant effort from Yann Chave, drink from 2014 to 2024. 2013 Weingut Peter Lauer, Riesling “Barrel X” Ayl, Saar (Mosel) Germany. The family Lauer own a hotel and restaurant in Ayl on the Saar River and run a small winery next door, the Weingut Peter Lauer makes mostly dry style wines and almost everything is from the famous Ayler Kupp mountain home to distinct parcels and terroirs that have wonderful south-eastern exposures and good slopes, this is the perfect home for mineral intense Riesling, and Peter’s two sons Peter (3rd) and Florian run the estate with most winemaking in the capable hands of Florian who calls his wines “Rieslings for advanced learners”. I had not had any Lauer Riesling prior to today and I was quite impressed with their basic offering made for their US importer Vom Boden Imports, the Barrel X which is bright, tangy and full of sizzle. The Saar intrigues me, though my experience is limited with only a few top producers, so it was cool to be introduced to something new, many thanks to Stevie and Josiah at Bay Grape, an urban hip wine store in Oakland, for stocking it and for the nice wine rep that shared it with us, this is a great new place to explore wine, be sure to check it out. 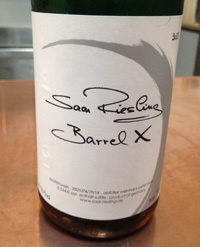 The 2013 Weingut Peter Lauer Barrel X starts with citrus pulp, granny smith apples and green apple skin, sea salt and steely mineral essences along with hints of lime, mint and citron, all delivered in a light high-toned style that is very dry feeling, though there is some RS to give balance. 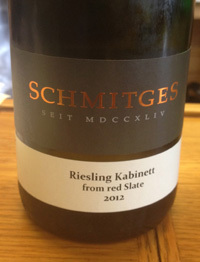 This wine does pack loads of acidity and is lip smacking making it a fine summer sipper, it is super refreshing and at 10.4% it won’t weigh you down, and it finishes crisp with a touch of dry extract, more apple and a wet stone chalkiness, drink now. 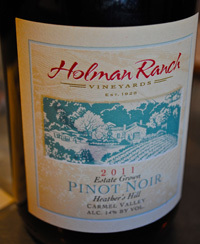 2011 Holman Ranch, Pinot Noir, Heather’s Hill Estate, Carmel Valley. 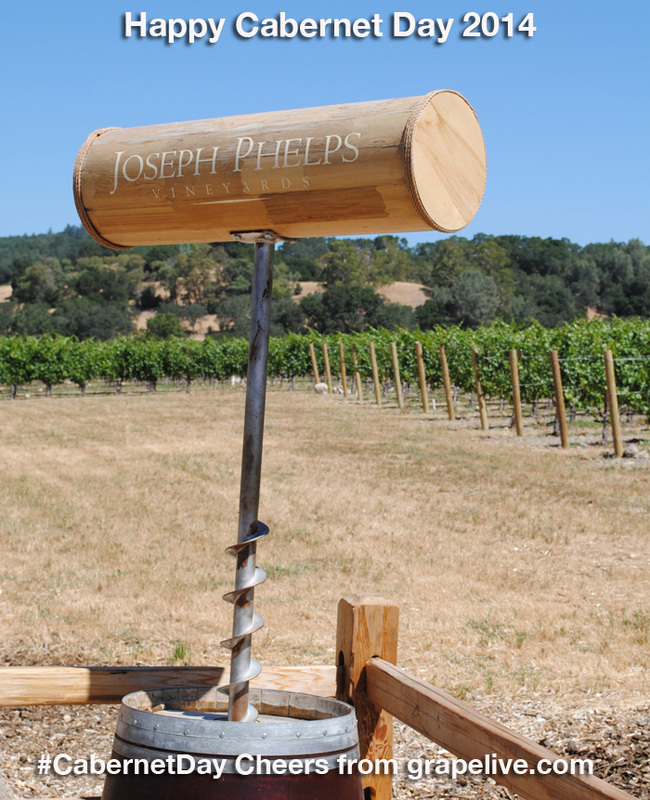 Every so often I visit my hometown, Carmel Valley near Carmel on the Monterey Peninsula and check out the local wine scene and I try to spotlight new or special developments in the region, and this summer I looked into some new wineries, including the Holman Ranch Vineyards. Local vineyard guru Greg Vita, winemaker and consultant to many Carmel Valley wineries including Galante Vineyards, showed me (his) Holman Ranch wines recently and he enthused about the potential of this estate just east of the Village in Carmel Valley. These young vines with excellent exposure and soils are beginning to show real promise, I was very impressed with many of the Pinot Noir offerings from the Holman Ranch, especially this Heather’s Hill bottling from 2011 which Vita says comes from mostly Calera clone and some 115 clone, these are slightly austere wines, but I can see why he is excited and I look forward to seeing the 2013 and 2014 wines, as the vine age hits a more mature level. Vita says the 2013 will be a turning point, a break through vintage for Carmel Valley Pinot Noir. 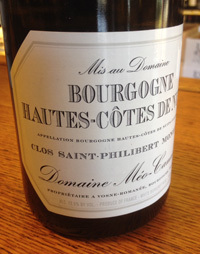 Many have tried Pinot here with very mixed results and awkward wines, though some promise has been shown, with Figge and a few others making some fine efforts in recent years. The Holman Ranch has an interesting mix of clones and it’s own unique so called micro-climate, and Vita explained in great detail that the chemistry is really good, the grapes are not showing some of the areas deficiencies that make for unattractive wines, being a native to Carmel Valley I couldn’t help getting excited, I’ve been wondering if ever there was going to be a great Pinot made here for decades, and I finally see there might be in the coming years. The 2011 Holman Ranch Heather’s Hill is earthy with chalky texture, it hits the palate with a spicy intensity, but opens to dark fruit with air and fills out nicely on the palate, it is still serve in many ways and has a few gaps, though I must say it is very enjoyable. The 2012 wine is lighter and comes across quite a bit thinner, this true of the alcohol with 2011 being about 14% and the 2012 coming in at just over 12.5%, so the the 2011 is more generous and deep, I also tried the first releases from 2010 and they were juicy and likable as well, but the 2011’s were more complete and complex. 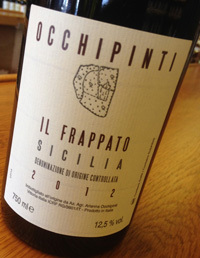 The cool vintage comes through with nice acidity and brisk profile with a core of plum, red berry and cherry fruits with hints of red spice, basil, mushroom and cedar forming a wine that might get better with another year or so in bottle, though drinks well now. I think there is some real potential for the up coming vintages and while it is a nice start it is that glimpse into the future that is what is most intriguing here, Carmel Valley has some complex issues to solve in it’s search for identity and especially in finding a signature wine and grape, maybe it will turn out to be Pinot Noir, for now it is very uncertain, but who knows, and this wine might change the discussion down the road.